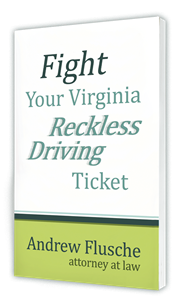 For a charge of Virginia possession of marijuana, the Commonwealth doesn’t have to prove a specific amount of marijuana was in your possession. They just have to prove that you had some marijuana. That’s why the defense of claiming that there was only a little bit is not enough to get you out of the charge. I talk to a lot of people who tell me it was less than a gram, it was only a bud, or that they only had a little bit. Unfortunately, I have to tell everyone the same thing – having a little bit of marijuana doesn’t get you out of the case. All the Commonwealth has to prove is that you had some amount of marijuana in your possession. There are lots of other defenses, but unfortunately, this one gets us nowhere. The amount could come into play if you’re facing a bigger charge like ‘possession with intent to distribute.’ With that kind of charge, the amount could come into play. 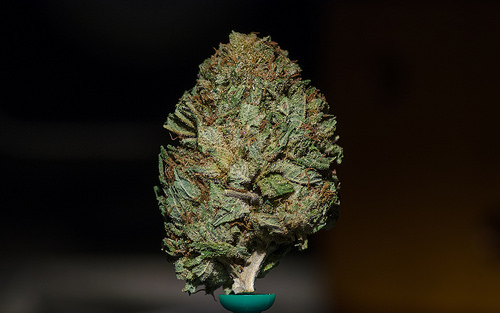 If you only had a little bit of marijuana, it’s unlikely that you’re trying to distribute it. However, for a simple charge of basic possession of marijuana, the amount simply doesn’t matter. I talk to countless people about their possession of marijuana charge and in many instances one of the first things I hear is that the marijuana wasn’t theirs. Unfortunately, that is a losing defense. The caveat is that every case depends on the facts and circumstances of each unique case, and it could work depending on the facts of a case. However, it’s usually a loser. The Commonwealth only has to prove that you were in possession of the marijuana. They don’t have to prove that it was legally your own marijuana, a big difference. Let’s just say I own a bicycle, it’s my legal bicycle and I have legal title to it. However, I can loan you the bicycle. When I loan you the bicycle to ride, you are in possession of the bicycle. Everyone understands and agrees with that; however, it’s still not your bicycle. That is exactly the situation we have with marijuana. The Commonwealth does not have to prove that it was yours. They just have to prove that you were in possession. What does possession mean for marijuana in Virginia? It’s a good question, and it’s one that gets quite complicated legally speaking. The basic rule is that you have to have knowledge of what the substance is and you have to have dominion and control over the substance. Knowledge is the easy one that people understand. That means that there is some indication that you know it’s marijuana. That can be proven based on it looking like marijuana or based on your statement or prior evidence that you’ve smoked before perhaps. Dominion and control is the part that is tricky for the Commonwealth to prove. They have to show that you had some control over it that you were able to exercise your dominion over the marijuana. This is where we might have an actual winning defense, but simply claiming that the marijuana wasn’t legally your own isn’t going to get us anywhere. For a possession of marijuana case, the Commonwealth does not have to prove that you actually used marijuana. They don’t need to prove that it was in possession in your body. All they have to prove it was in your possession. The normal way they prove that is by showing that they found it in your vehicle or in your pocket or something like that. They don’t have to prove that you were actually smoking the joint. They just have to prove that you had control over it and that you knew what it was. The irony is that possession of marijuana is proven in the opposite way that possession of alcohol is proven. For an underage alcohol charge, typically the Commonwealth proves possession by providing that you drank earlier. However, there’s no requirement that the Commonwealth prove you smoked marijuana. You can be charged with Virginia possession of marijuana, even if the marijuana wasn’t found on your person. In possession of marijuana cases sometimes people say, “But I didn’t even have marijuana on me, so how come I’m charged?” Well, the answer is that Virginia law prohibits possession of marijuana. That doesn’t mean that you actually have to have marijuana on your person. All that means is that you have to possess it in some way. The first and easiest example of possession is if you have it on your person – in your pocket, in your bag or purse or somewhere else on your physical person. That is a clear-cut case of possession. There may still be arguments, but possession is usually not an issue in those cases. The other instance of possession is what we call ‘constructive possession.’ That’s where they find the marijuana somewhere nearby or somewhere in your belongings. Maybe they find it in the car that you are riding in or maybe it is in your car that’s registered to you and sitting in front of your house Or maybe it is in your house, where you are. Or it could be in a hotel room where you’re staying. If it is somewhere nearby, they can tie it to you. What they have to prove in those cases is that you had knowledge of the character and nature of the marijuana (the plant material or the residue) and that you had dominion and control over whatever they found. It isn’t enough to prove that you knew it was there if it isn’t not yours and you can’t control its being there. They have to prove that you had some power over it, to remove it, or that you put it there. Likewise, it isn’t not enough to prove that you had power over it, because you might not know what it is. If the marijuana is in a pile of trash, you might now know it is marijuana. Based on all the facts and circumstances, they have to prove both things. If you were to testify and you argue that you didn’t know it was marijuana, they might ask you on the stand if you’ve ever smoked before. If you have used marijuana before, then it might not be believable that you didn’t know what it was. That’s where constructive possession comes in, in those cases where you didn’t have it on you but it was tied to you somehow. There was some kind of connection to you or your property. It can be a tough case to prove, but sometimes it can also be pretty simple. If you are facing marijuana charges, call me today to learn how I can help you. I offer free consultations to help you examine the issues and explore the angles to pursue for your defense.